Doctors sometimes use the calcium score to help decide whether to recommend treatment with a statin. Statins often reduce the risk of heart attacks. However, seemingly paradoxically, sometimes the calcium score increases with statin therapy. The tendency of the coronary artery calcium score to increase with statin therapy has been an area of controversy and concern among cardiologists. As it turns out, at least some evidence now suggests that this may be a good thing. It may indicate that the statins are stabilizing coronary artery plaques. Atherosclerosis produces plaques in the walls of arteries, including the coronary arteries. These plaques can grow large enough to partially obstruct the artery and produce symptoms, such as angina or claudication. However, the real problem with these plaques is that they can suddenly rupture, causing a sudden occlusion of the artery — which often leads to a heart attack or a stroke. Plaques are deposits of several materials, including lipids, inflammatory cells, fibrotic cells, and calcium. It is the calcium in atherosclerotic plaques that is detected by a cardiac calcium scan — the higher the calcium score, the more extensive is the atherosclerosis. So, for example, if your doctor started you on atorvastatin, he or she was not merely treating your cholesterol levels but was also treating your atherosclerotic plaques. Several studies have now shown that treating a patient who has atherosclerosis with statins can increase the cardiac calcium score. Since statins are thought to help prevent and even to help reverse coronary artery disease, this result seems paradoxical. In 2015, a study was published in the Journal of the American College of Cardiology which helps to clarify what this increase in calcium means. In summary, evidence supports the idea that statin therapy not only reduces cholesterol levels but also changes existing plaques to make them less dangerous. As part of this process, the plaques may become more calcified — and thus, calcium score goes up. An increasing calcium score with statin therapy, therefore, may indicate treatment success, and should not be a cause for alarm. While this theory is not settled science, at this point it best fits the available evidence. 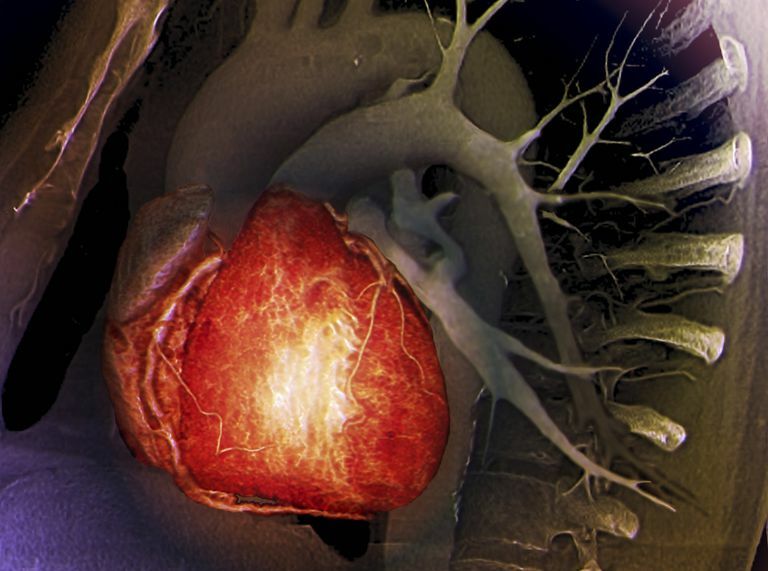 A cardiac calcium scan can be a useful tool in assessing the presence or absence of coronary artery disease. If calcium is present, atherosclerosis is present — and aggressive lifestyle changes are in order. In addition, strong consideration should be given to statin therapy and prophylactic aspirin. But, once statin therapy has begun, interpreting subsequent calcium scans becomes a problem. If the calcium score goes up, it may not indicate worsening CAD, but rather, is likely to be a positive effect of statin treatment. As a general rule, doctors should not order tests that they know ahead of time they probably will not be able to interpret. While a screening calcium scan makes a lot of sense for people who are at some risk for coronary artery disease, repeating those calcium scans after statin therapy has been initiated may just create anxiety, without adding any useful information. Puri R, Nicholls SJ, Shao M, et al. Impact Of Statins On Serial Coronary Calcification During Atheroma Progression And Regression. J Am Coll Cardiol 2015; 65:1273-1282. Shaw LJ, Narula J, Chandrashekhar Y. The Never-Ending Story On Coronary Calcium. J Am Coll Cardiol 2015; 65:1273-1282.